According to the AMSA, nearly four out of every ten moves are conducted by a corporate client. But corporate moves can be much more difficult than residential relocations, for one reason: moving office equipment. Here are five things you can do to help ensure that your move goes smoothly. Organizing your office equipment is especially important if you have desks, shelves, or other kinds of furniture which needs to be disassembled before it can be moved. Try to keep items that go in one room all together so that they can easily be set up in the new office. If you aren’t using boxes that have blank space for writing, find your own labels to organize items. While you should never ask employees for help moving office equipment – especially if it is heavy or hard to move – your staff should still help make the move less difficult by keeping their own personal things in order. You can even provide them with small boxes or moving checklists that they can use to make the adjustment even easier. Encourage them to get rid of things they don’t need to bring with them to the new office. If you are moving equipment like a large all-in-one copier/scanner/printer, rows of servers, or even seating, you need a plan for them in your new space. This kind of equipment can be difficult to fit in an average-sized office, which is why you’ll need to think about their placement in advance. If you’ve ever moved before, even if it was just to a new family home, you know how chaotic and disorganized the process of moving can be. During that period, you probably weren’t able to accomplish a lot other than focusing on the move. Although a business move has benefits, it will also cause some downtime to your regular operations. It’s important to make arrangements for this downtime in advance of your transition. Let your customers, vendors, and others in the area know that you won’t be as responsive as you normally would be due to the move. Your company prides itself on being knowledgeable when it comes to your field or industry. Moving companies are similar: the best ones can help you cut down on the ordinary struggles of setting up for business in a new location. They use expertise and experience to help their clients see troublesome parts of a move that they may not have identified, such as moving awkwardly-shaped furniture, providing adequate clearance for seating, and making sure sufficient power is available in the new space. 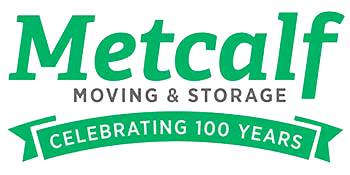 Metcalf Moving has decades of experience helping customers in Minnesota and beyond. We have dealt with many office moves with all different kinds of equipment and understand how important it is to plan in advance. Get in touch with us today to discuss your office move and how we may be able to assist.